1. Install the Embed Form plugin again. If it's already installed, you can leave it there. 2. Get your Form ID. It is the long string of numbers found at the end of your Form URL. 3. 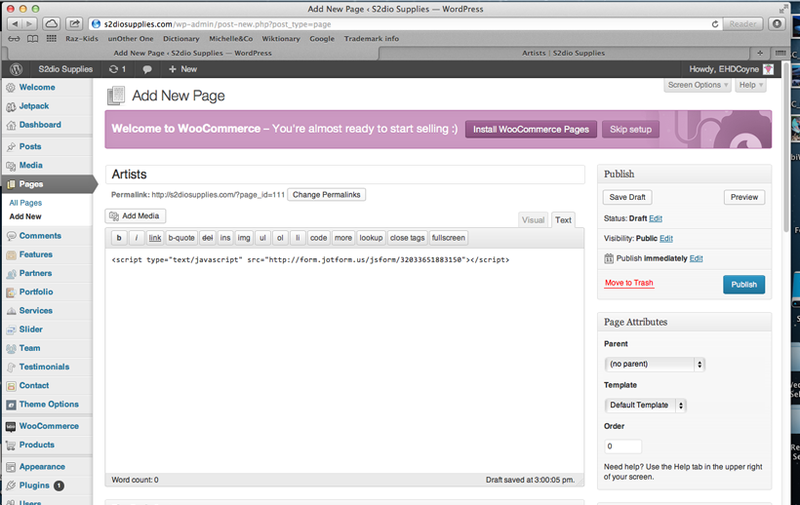 Use short codes in your WP, e.g. 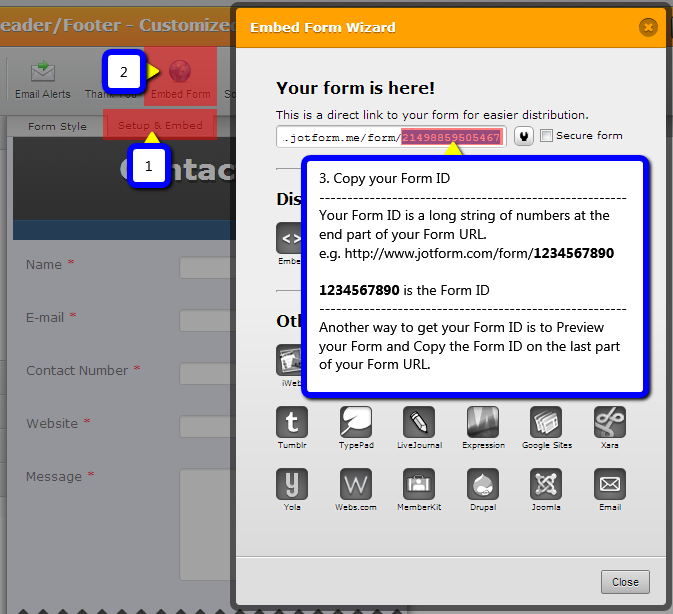 [jotform id="FORMID"] replace FORMID with your actual Form ID. You can either do that in the Visual view or in the Text view.